Violinist and violist Rachel Hauser has been a tenured member of the Madison Symphony Orchestra since 2007. 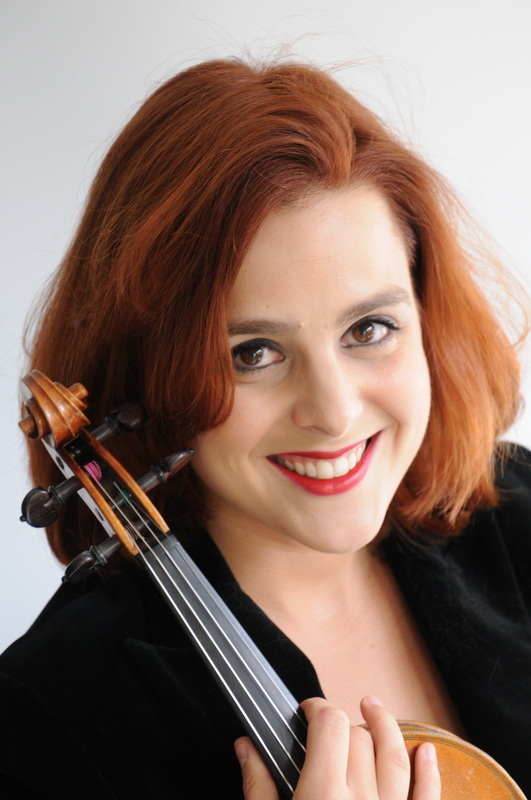 She also plays with the Wisconsin Chamber Orchestra, the South Florida Symphony Orchestra, the Lacrosse Symphony Orchestra and the Dubuque Symphony Orchestra where she previously served as Principal 2nd Violin. As a chamber musician, Ms. Hauser has been featured in recitals throughout the world including France, Holland, Finland and Italy. She has twice performed as a guest artist on the University of Wisconsin-Madison’s faculty recital series and is a founding member of the Willy Street Chamber Players. Additionally, she has been featured in multiple live chamber music recitals on Wisconsin Public Radio and her recordings with the Willy Street Chamber Players are broadcast regularly throughout the state. Dividing her time between Madison and New York City, Ms. Hauser recently performed at Bargemusic’s “Here and Now” series, the Queens Library Concert Series and the Composers Voice series at the Firehouse Space. She also performs regularly with the Astoria Music Project in Queens, NY. As a student, Ms. Hauser served as a member of the Graduate string quartet in residence at the University of Wisconsin-Madison from 2009-2011 and performed regularly with the Madison Symphony Orchestra’s HeartStrings quartet offering music therapy informed concerts to individuals with special needs and long-term illnesses. From 2002-2006 she attended the Fontainebleau Schools in France performing on faculty recitals and earning awards for excellence in chamber music. When not playing music, Ms. Hauser is an active fundraising professional. Starting as part of the development staff of the Madison Symphony Orchestra, she eventually formed her own consulting business. In addition to an international consulting career that serves extraordinary non-profit music organizations of all kinds, Ms. Hauser now serves on the Board of Directors of Musicambia, a program dedicated to designing creative musical curricula for incarcerated individuals currently housed in prisons and jails throughout the United States. Rachel is an alumna of the New England Conservatory of Music in Boston, the Utrecht Conservatory of Music in the Netherlands, and The University of Wisconsin-Madison; Her primary teachers include David Perry, Masuko Ushioda, Richard Wolfe and Louise Behrend.